Morocco is one of the leading holiday destinations for families who want to tour a country that offers a wide range of adventure activities. The country’s unique combination of urban cities, historic medinas, rural landscapes, mountain villages, a grand Sahara desert and sandy beaches make it family friendly vacation zone. 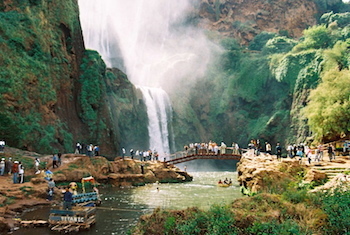 Morocco’s tourism industry offers activtiies that are suitable for children of all ages. 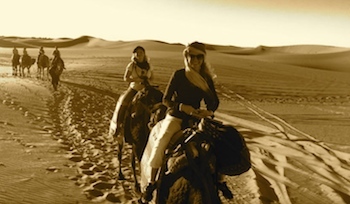 Family friendly Adventure Vacations and Holiday Tours to Morocco can be tailor made to accommodate outdoor or indoor activites. Families vacationing in Morocco are guaranteed a safe travel experience. Day 1: Visit the Majorelle Gardens in Marrakech. This colorful garden is like cotton candy for the entire family with its wide variety of flora and fauna. Explore the costumes in the Berber Musuem and learn how this mountain culture once lived. Visit the old medina’s ancient fortress walls, the souks, markets and climb the stairs of the Ben Youssef medersa. End the day with a visit to Djemma El Fna Square at Sunset and a Marrakech Food Tour where the entire family will have dinner on the road. 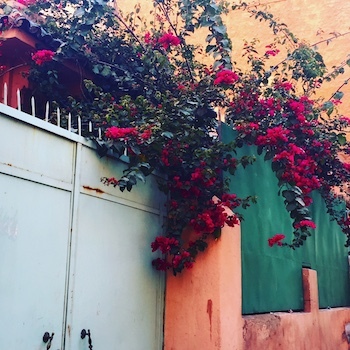 Explore the backstreets of the Marrakech medina. Snack on Moroccan doughnuts, Harira soup with sweet dates, sip fresh fruit juices, sandwiches, visit a bread oven and consider the exotic tasting of Moroccan meats. Overnight in an Family friendly Moroccan Riad. Day 2: Cook Up Morocco at a Kid Friendly Cooking Class where the entire family can make their own Berber Tajine. Guided by a Daada Chef you will visit the food marekts in the medina, learn how vegetables are bought and sold, explore the spice souks and then craft your own meal and then dine on it for lunch. End the day with a Kalech ride through the new cities garden district. Overnight in an Family friendly Moroccan Riad. 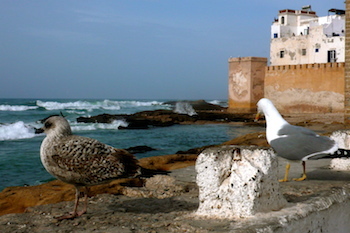 Day 3: Take the road to Morocco’s Great South. 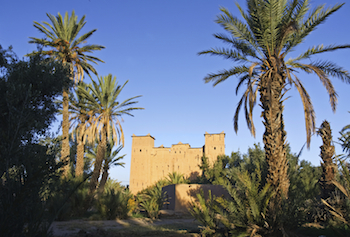 En route visit the Ounilla Valley and Kasbah Telouet, a famous Kasbah that was once the home of the Pacha Glaoui. Continue to Ouarzazate, the Hollywood of Morocco. Climb to the top of Ait Ben Haddou Ksar and have lunch with views of the old town. Visit the Hollywood Film Studios where famous movies such as Kundun, Body of Lies, Cleopatra and the Game of Thrones were filmed. Overnight in an Family friendly Moroccan Riad with views of Ait Ben Haddou. Day 4: Departure to the Sahara Desert. En Route visit the Draa Valley known for being crossed by pirates. Visit Agdz and the market of dates. Continue to the Berber Village of Ait Ouzzine. 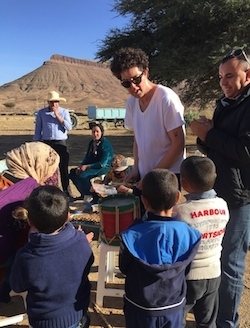 Nestled in the Saghro mountains is a Berber Village where you will learn how couscous is made, visit a working farm and have tea with a Berber family. Afternoon Family walk in the fields and see how the traditional Berbers live with their gardens of herbs, livestock, and henna plants. Lunch will be served followed by a henna party for the entire family. Continue to the arid Sahara Desert. Sunset camel trek across the Erg Chebbi Dunes. Bonfire and 1001 Arabian Nights dinner for the entire family. Overnight in a Wild Desert Camp in the Sahara Desert. Day 5: Sahara Desert Adventure activties will fill your morning. Quad bike across the Erg Chebbi’s grand sand dunes. Explore the flora and fauna on a desert walk with your Berber guide. Go off pise (windy road) to a children’s school in the heart of the Merzouga Desert. Visit a school, meet a local teacher and see how children learn in Morocco. Next stop, visit the Musicians of Khemlia, Gnaoua travelers who made their way to the Sahara Desert and never left. Tea and almonds will be served as you watch this family friendly Moroccan, Berber drumming performance by the Century old Gnaouan muscians. 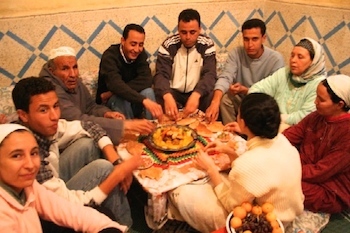 Continue to Rissani after and learn about the art of bread baking of Madfouna, a Moroccan pizza. Visit fossil stuios to see how objects of art are made. Then continue to the Todra Gorge. Overnight at the foot of the Todra Gorge. Day 6: Visit the Todra Gorge’s grand canyon. Watch Berber women fetch water with their daughter with donkey’s by their side. Hike through the Todra Gorge, have lunch at the foot of the Gorge. Continue to the Dades Valley. Overnight at a Guest House with Views of the Dades Valley. Day 7: Dades Valley Rise Early. Visit the Dades Gorge, the Monkey fingers and drive through the Dades Pins along limestone cliffs with uniquely shaped erosions and superb scenery. Continue to the Valley of Roses. Visit this fertile region known for the Rose Demascus. Option to continue to the Valley of Nomads and have tea with a Nomad Family en route to Skoura. Overnight in at Guest House in the Skoura Palmerie. Day 8: Visit Skoura and the Valley of 1000 Kasbahs. Skoura is a fertile oasis lined with immense palm groves that provide great views of the Atlas Mountains. Explore this unqiue region that is filled with a vast palmerie and small ksars once inhabited by Jews. Continue to the region of Ouarzazate. Visit the Oasis of Fint and have tea at the Head masters house. Then take the road back to Marrakech.